Nokia has officially announced its first Windows tablet named Nokia Lumia 2520. The tablet comes with a 10.1-inch 1080p Full HD capacitive display with Corning Gorilla Glass 2 protection and it has 1920x1080 pixels resolution. The device runs on Windows RT 8.1 operating system and powered by 2.2 GHz Quad-core Qualcomm Snapdragon processor with 2 GB of RAM. Nokia Lumia 2520 tablet features 6.7 MP rear camera with Auto focus, Zeiss optics and 2 MP HD wide angle front camera for video calls. It comes with 32 GB of internal storage and external can be extended with 32 GB with microSD cards. It has the connectivity options are 4G LTE, 3G, Wi-Fi, Bluetooth 4.0, NFC and A-GPS. It packed with massive 8000 mAh battery that provides 11 hours of continous video playback and its charging time is less than an hour. Lumia 2520 tablet pre-installed with Microsoft apps like Outlook, Office and other services. It has also some unique features including Nokia Story Teller photo app that compiles your photos from facebook and other online accounts, Video Director for advanced video editing, Nokia Music app and Nokia Here Maps app with offline map support. 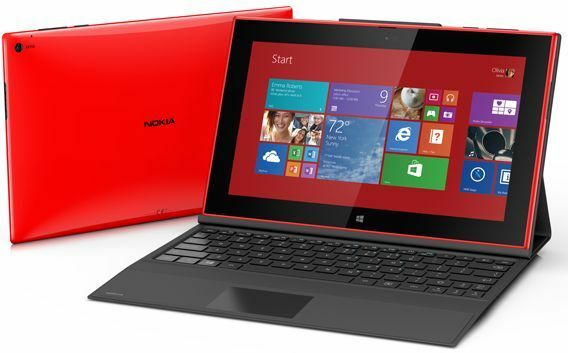 The Lumia 2520 tablet comes in Red, Cyan, Black and White colors and priced at 499 US dollars. The device will be available from beginning of Q4 2013 and initially available for US, UK and Finland. This roll out for other countries have to wait for some time with this year or later.